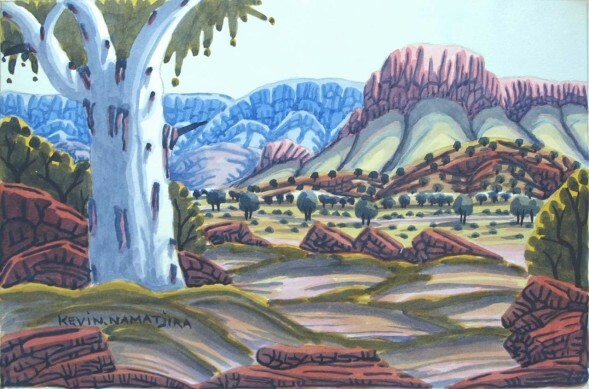 The Western Aranda tradition of watercolour painting that famously began in 1934 with the meeting of Albert Namatjira and Rex Battarbee has left a rich legacy for future generations. 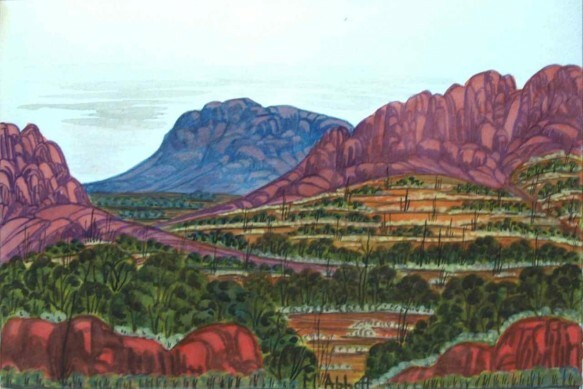 The landscape paintings provided the first vision for a wider audience of the Aranda world and the dramatic locations around the Western MacDonnell Ranges. Namatjira taught his relatives and countrymen well, and a strong school of painting continues 74 years after the first successful exhibition of Albert’s paintings. This exhibition brings together 14 artists including Kevin and Lenie Namatjira, Albert Namatjira jnr, Douglas Kwarlple, Ivy Pareroultja, and Elton Wirri. This exhibition is presented in association with Ngurratjuta Iltja Ntjarra.